Lourdes Band's - Clonakilty trophy swoop. The Lourdes Brass band had a hugely successful day on Saturday 7th July representing the Drogheda community in the 39th "South of Ireland" band competition. 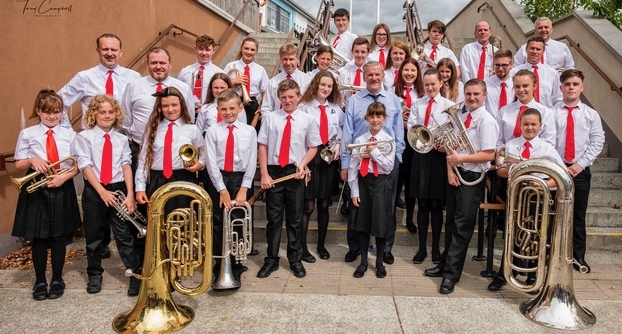 The long travel from Drogheda to the Cork town of Clonakilty proved to be a very worth while undertaking for both the Lourdes Youth and the Lourdes Senior Band. In a strong field of over 16 Bands in the intermediate section, the Lourdes Youth Band performed brilliant renditions of "The New Recruit", "All in an April evening", "Is this the way to Amarillo" and "Mamma Mia"
Not only did they succeed to finish in fourth place, they also managed to take the "Best Bass section" prize beating off tough competition from the other intermediate and senior section bands. To round off a great day the Senior Band was also very successful winning a total of four prizes for the "Most entertaining music repertoire", "Best musical arrangement", "Best trombone section" and taking the overall senior section third place prize. 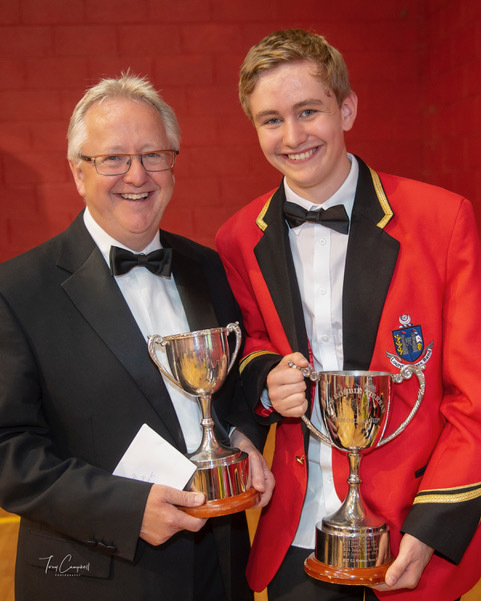 Both Prof. Michael Alcorn (Senior Band - Musical Director) and Mr, Harry Kelly (Youth Band conductor) were delighted with the two bands performances.